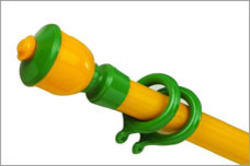 Being a customer oriented organization; we are highly engaged in trading a wide range of Kids Curtains Rods. This collection being designed especially for Kids keeping in mind their taste. As the kids like to play with colors the same way we played with colors in curtain rods to make their room come alive.